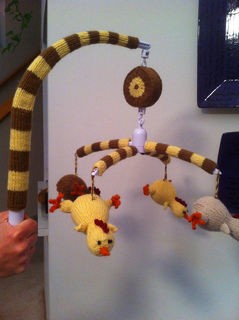 Are you looking for a quick, easy, and potentially arbitrary project with adorable results? 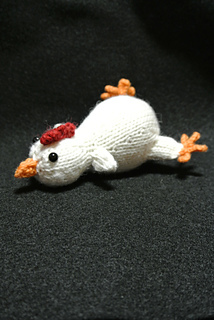 Do the other knitted chicken patterns not suit your interests? 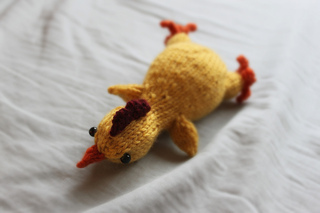 Do you have a rubber chicken fetish? 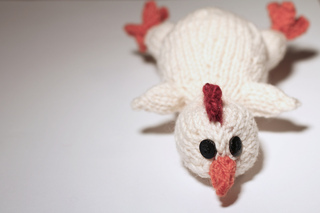 If you answered “yes” to any of those cheesy questions, then I hope you enjoy this free pattern to make your very own rubber chicken. Required materials, a list of abbreviations used, and a necessary skills list are included in the pattern. There is a checkbox next to every line of directions, so you’ll never forget where you may have left off.